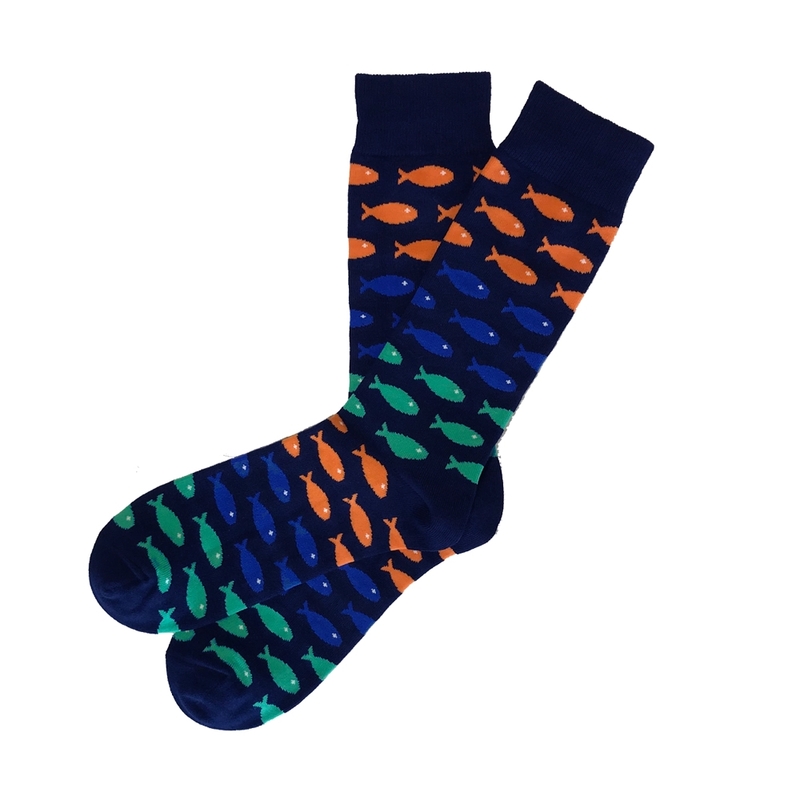 This creative pattern of fish is a true conversation starter; boasting colors of orange, teal and blue. This sock was designed by Hayley Richardson. Hayley was 1 of 3 design winners voted on during the Sock 101 Design Contest.